According to New York State Troopers, officers responded to Pine Street in the town of Scio for a report of suspicious activity in a residence that is for sale with no occupancy. Troopers went into the residence in question through an open back door. The residence was completely dark and no one was located. Possible foot prints were fresh on the ground behind the residence. NYSP K9 was called in to assist in locating possible suspects. 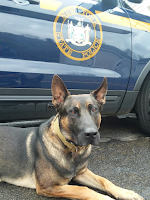 K9 Weltz was able to make a positive track through the wooded area and located Kenneth Kendall laying in woods. K. Kendall was in possession of a stun gun and later found to have methamphetamine. 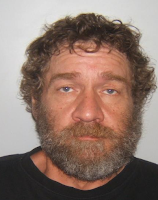 Terry Kendall was located walking on Davis Hill Road and taken into custody. Both were transported to SP Amity and processed. Evidence and statements concluded that the Kendall’s committed burglary at the residence. Both were arraigned in the town of Friendship Court and remanded to the Allegany County Jail and to appear later in October at the town of Scio Court.